As consumers take charge of when, where and on what device they engage with media, broadcasters and media companies are under pressure to adapt quickly to deliver services on any platform. Traditional broadcast infrastructures do not deliver the agility, scalability and flexibility needed to meet the shifting expectations of a digital generation – while at the same time meeting the needs of consumers who access their content via more traditional linear means. With investments in 4K televisions rising, and smartphones with 4K HDR capability now widely available, consumers demand stunning images on any screen. Montreal headquartered content and media technology company,Grass Valley is the front runner in empower ing customers with innovative, agile solutions that help them deliver stunning images. 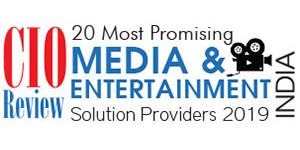 The company’s award- winning technology powers an end-to-end ecosystem that broadcasters and media organizations can rely on to help them stay ahead of the curve in today’s competitive mediascape. It helps broadcasters and media organizations transition to flexible, scalable infrastructures that enable smart, responsive workflows to deliver any content, anywhere. Backed by the Belden brand and being a founding member of AIMS, Grass Valley has 600 highly skilled RandD engineers, 350 patents and 34 technical awards. deliver new content services in an agile way," states Timothy Shoulders, President, Grass Valley. Grass Valley is leading the way in the industry transition to software-defined, cloud based infrastructure, and cutting-edge IP solutions to help broadcasters tell powerful stories with stunning pictures. It delivers solutions that facilitate customers to create captivating content across key application areas including Remote/At-home Production, Mobile Live Production, Venues, Studio Production, Media Workflow, Playout, and IP Work-flows. LiveTouch highlights and replay - a complete replay and slowmotion solution for studio and sports applications. 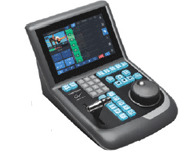 LiveTouch systems can scale to meet HD, 3G and 4K UHD productions of any size. iTX - the world's most advanced, integrated playout platform for broadcast television. iTX has a proven track record in the field, delivering over 17 million hours of broadcast television each year for operations of all sizes from global brands to local stations. GV STRATUS video production and content management solution offers a suite of tools with access from anywhere on any supported device, capturing content from a wide range of sources. LDX 86N 4K cameras enable the delivery of unmatched picture quality with the flexibility to switch from native4K UHD to HD. Plusunique DirectIP connectivity provides IP communication directly between cameras and XCU base station. Production switchers: Grass Valley’s business transforming switcher solutions suit a wide range of requirements and user preferences­ from the Kula switcher that fits in a flypack to the industry's largest IP I/O foot-print video production engine, GV K-Frame X. It is not just the traditional media companies but newer exciting mediascapes like esports venues that are also becoming a Mecca for delivering immersive fan experiences while helping them engage audiences with captivating content. Grass Valley currently partners with some of the leading esports venues around the world, including Blizzard Arena, Arlington Esports Arena, and the Esports Arena Las Vegas.